From Low Cost Clocking in Machines to Biometric Handscanners with Powerful Time and Attendance System Software. When you need to record your employees Time, AccuTime has the system to meet your needs. 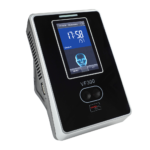 We have a range of Fingerprint, Facial or Hand recognition systems, portable mobile clocking in machines as well as proximity card, Smart Card, swipe card and bar code clocking in systems. We can also supply Card	Racks swipe cards, badges, time cards, clock cards and job cards for all makes of clocking in machines, time and attendance systems and time recorder clocks. A low cost method of recording employee time and attendance, late entry and early exit. Which System best suits my business?